Considering Denvers sprawling population, it's a testament to the city's drivers that there aren't more accidents each year. If the day ever comes when you need it, have the peace of mind that you'll be talking to Nationwide's On Your Side® Claims Service. In the meantime, if you want to enroll in our Vanishing Deductible® program, if you want to verify that you're getting every applicable rate discount, or for all of your policy questions, talk to one of our Denver auto insurance agents. If you live in the governors mansion your home insurance is already taken care of. 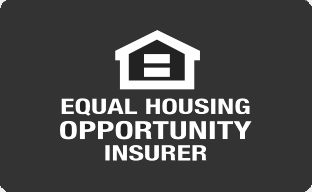 But pretty much every other homeowner in Denver and the surrounding area needs homeowners coverage. Part of this coverage is about protecting the property investment you've made, but there's also the peace of mind of knowing that you'll be able to rebuild in the aftermath of many home damages. that's why we recommend you talk to a Denver home insurance agent about Brand New Belongings®, Better Roof Replacement®, and other policy options available through Nationwide.